In this post I will be reviewing the Delta Star Trading System. This is a manual forex trading system. You can trade with it on any forex currency pair (or other instruments) or timeframe that you wish. It is suitable for any level of trader and requires no prior trading experience. The instructions explain the Delta Star Trading System in detail with screenshots showing real world examples of trades. It comes as a package of indicator with built in alerts to let you know when it is time to trade. This is useful as it means that you do not need to chart watch and can automatically monitor multiple charts without lifting a finger. The Delta Star Trading System will just trigger an alert and you check the chart and place the trade should you wish. You can of course add your own additional technical or fundamental analysis should you wish. 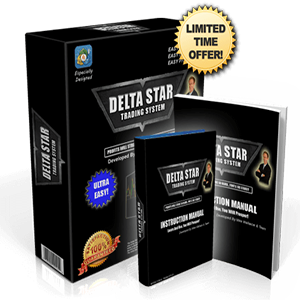 The Delta Star Trading System is not just suitable for forex currency pairs trading but can also be used on binary options, futures, stocks, shares and more. The indicators included display clear color coded entry and exit signals on your chart. You just imply follow the color green for buy and red for sell. These can be used for both entry and exit signals. When all the colors from all of the Delta Star Trading System indicators agree, that is a strong signal. You do not need any trading experience or knowledge of why these signals occur. As long as you can tell red form green then you can trade this system with ease. Please make sure that you use sensible money management so that your winning trades are greater than your losing trades. It can be used on any currency pairs but as always you should stick to the majors such as the EURUSD and GBPUSD for the lowest spreads and great amount of liquidity. 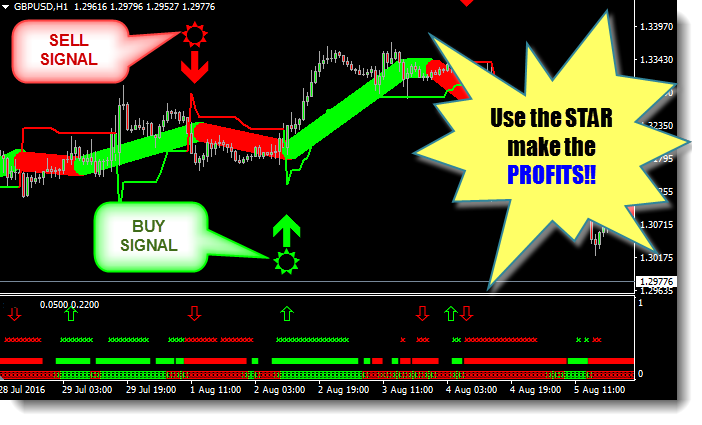 I would also advise again using an ECN forex broker for the best trading conditions possible. The Delta Star Trading System can also be used on any timeframe although the larger the time frame (h1 and above) the more reliable the signals will be. Overall, the Delta Star Trading System is a very good and flexible trading system that will suite a wide range of traders whatever your requirements may be. It can be used for scalping or swing trading and on any instrument or timeframe. It is VERY easy to use and also has many useful features such as the alerts that tell you when all the indicators agree so you do not need to constantly watch multiple charts. It is indeed a stress free manual forex trading solution and comes with a money back guarantee. Perhaps try it on a demo trading account to begin with and once you become profitable on a consistent basis then switch to live. 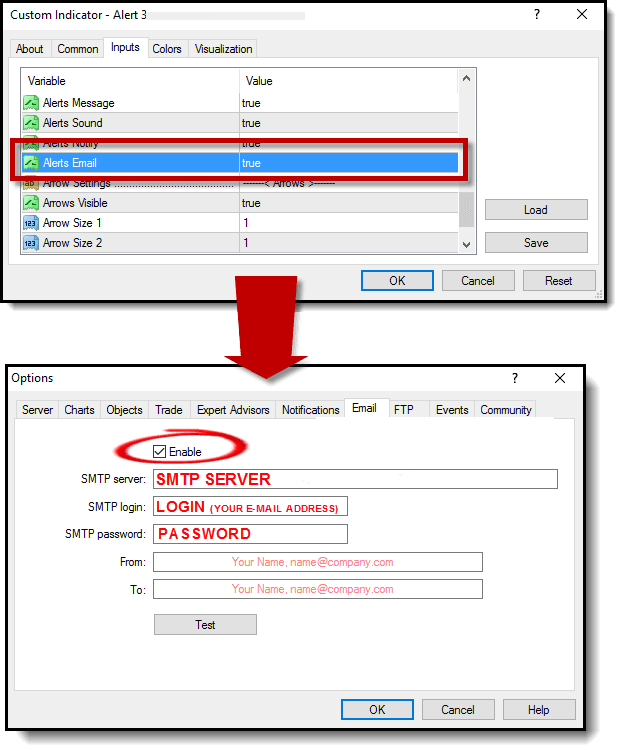 The indictors run in the MetaTrader 4 trading platform.